When Governor-General Daendels moved his capital inland from the old Kota, he laid out a great square, the Koningsplein, now the Medan Merdeka or Freedom Park. It's one of those oversized, pedestrian-hostile blocks of unused space that bedevil capital cities around the world. 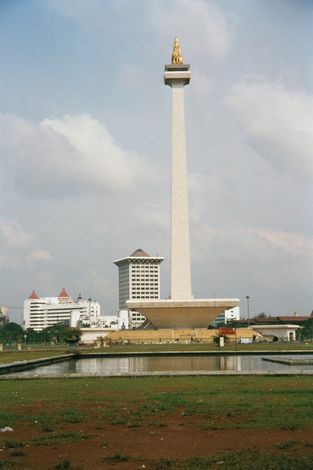 In the center stands the MONAS, or national monument, built by Sukarno to commemorate independence and perhaps himself.